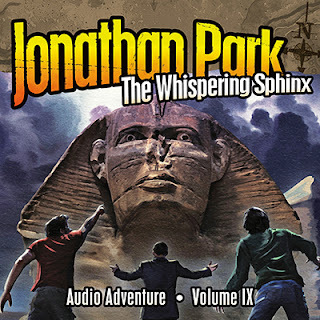 Today we take an in depth look at Volume 9 in the Jonathan Park audio drama series called The Whispering Sphinx. This is an incredibly action-filled 12 episode album that is packed with valuable information along with the entertainment. We highly recommend you check out the Jonathan Park series. Also in this episode is another newscast from Roy, listener feedback from Will and Austin, and we tell you how you can win a copy of The Whispering Sphinx courtesy of Vision Forum and Audio Theatre Central.